Ep. 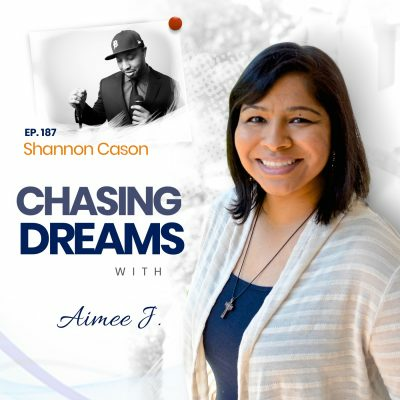 37: Tanavi Patel – Living the Comic Con and Convention Life | Aimee J.
Tanavi P was a closet nerd till she discovered the Chuck and Haven fandoms. After working at Nerd HQ, conventions quickly became her perfect pastime, where she realised she could combine her nerd curiosity with her love of journalism and become an entertainment reporter. She now also works for MCM Comic Con hosting the MCM Buzz stage and has moderated panels for Walker Stalker Con. Her interest is mainly genre TV, but she is always looking for the next new thing to fangirl over! Today you’re going to hear Tanavi’s journey from non-nerd to full-on nerd. Getting into the fangirl lifestyle. Tanavi Patel never thought of herself as a “fangirl” of anything in particular, until she came across some television shows that really grabbed her. Her interest in those shows led her, over time, to her current immersion in the comic and fan world. On this episode you’re going to hear the unlikely journey she’s taken from simple fan of the shows to moderator of some of the most high profile aspects of major comic con type events. 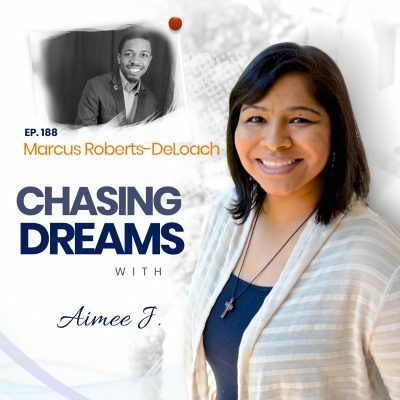 It’s an inspiring story for every dream chaser, so be sure you take the time to listen. Keeping her nerdy life a secret – for a while. As Tanavi got involved in the comic and fantasy fan realm she began attending events and participating in the culture, but it was all behind the scenes. In her everyday life as a physician, she wasn’t sure how her hobby would be perceived, so she kept it quiet. What she’s discovered is that the “fangirl” aspect of who she is is exactly that – part of who she is, and it’s not best to hide it. It may sound funny, but she’s much happier since she’s “come out” and the reception among her friends and family has been warmer than she expected. The “love fest” that is comic con. One of the main aspects of what Tanavi has experienced at the comic con events that she’s attended is the incredible community of caring people who attend the events. It really is a place where everyone is accepted and stereotypes and barriers that keep people separated in the “real world” don’t exist. On this episode you’ll hear Tanavia and Aimee chat about that phenomena and their experience of it, as well as hear where Tanavi’s participation has taken her. Motivation, opportunity, and intellect or talent enable anyone to do anything. That’s the mantra that Tanavi has come to believe and live by. Her own experience has proven it to be true and she tries to encourage anyone who is hesitant to chase their dreams to take it to heart. 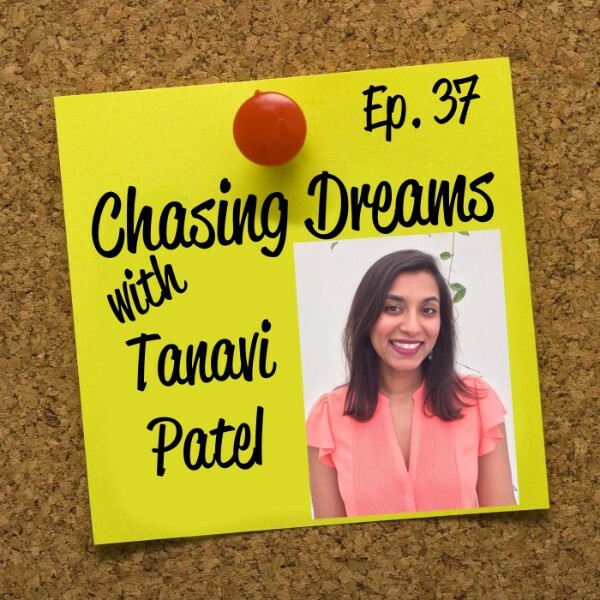 As you listen to Tanavi’s journey on this episode of Chasing Dreams, let it inspire you to consider your own journey and your own dreams. What’s holding you back? What will it take for you to step over the obstacles and get started chasing your own dreams? [0:49] Aimee’s introduction of today’s guest, Tanavi Patel. [1:38] How Tanavi got interested in fan shows. [7:00] Keeping her nerdy life secret. [10:24] The positive atmosphere of comic con type events. [12:30] How Aimee J. and Tanavi met. [17:49] Tanavi’s experience meeting cast and crew of her favorite shows. [20:20] Tanavi’s day-job: being a physician. [23:11] How Tanavi began doing videos at comic con events. [25:40] How Tanavi became a moderator for MCM. [30:20] The danger of overthinking and saying “No” as a result. [33:38] Balancing day job and this kind of fun stuff. [35:01] Tanavi’s recommendation for dream chasers.